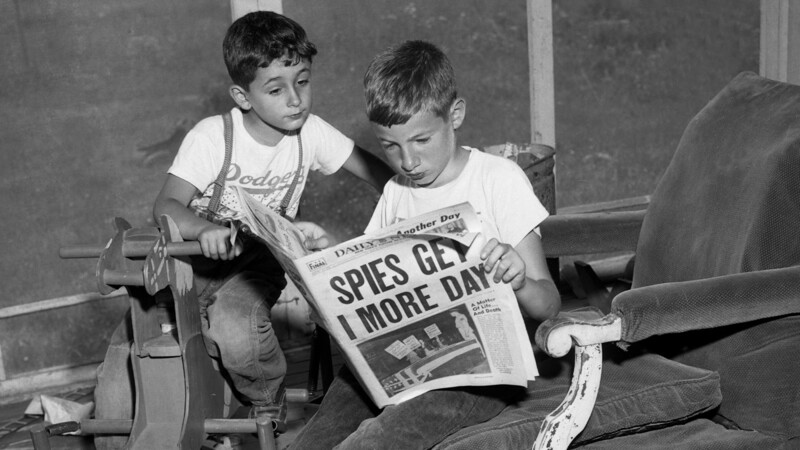 Julius and Ethel Rosenberg were the only spies executed during the Cold War and some question whether their sentence was fair. 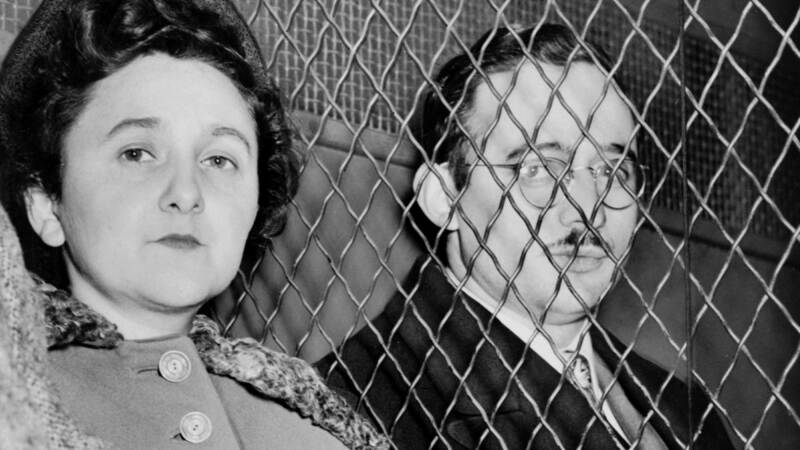 Julius and Ethel Rosenberg who were executed after having been found guilty of conspiracy to commit espionage. The charges were in relation to the passing of information about the American atomic bomb to the Soviet Union. Few death-penalty executions can equal the controversy created by the electrocutions of spies Julius and Ethel Rosenberg in 1953. 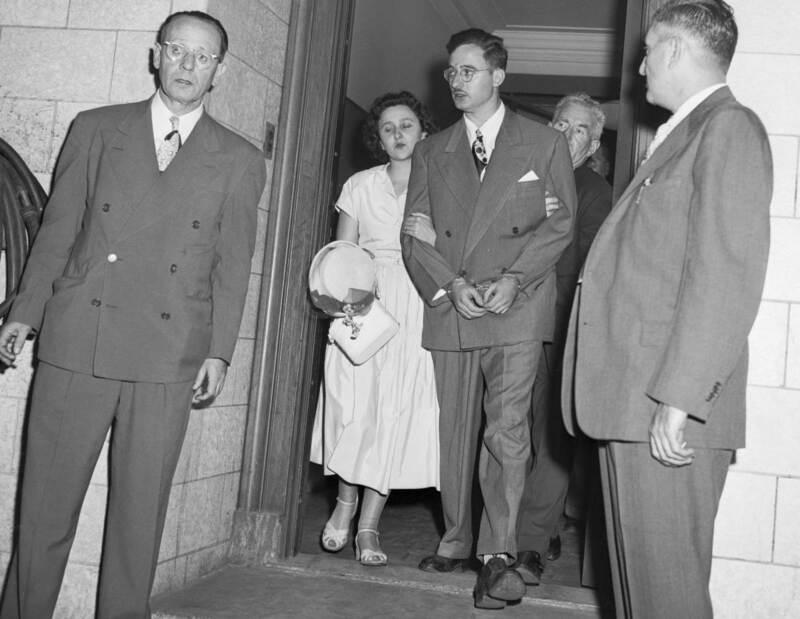 Accused of overseeing a spy network that stole American atomic secrets and handing those over to the Soviet Union, the couple were the only spies executed during the Cold War. But were they guilty? For some, that has been in dispute for more than half a century. Julius Rosenberg was almost certainly guilty. By most accounts, Julius Rosenberg was an enthusiastic Communist. His job at the Army Signal Corps Engineering Laboratories made him an enticing recruit for Soviet spies, who approached him on Labor Day, 1942. Late in 1944, Julius became a recruiter for the Russians and oversaw several spies himself, including the one who would cause Julius’ downfall: his brother-in-law David Greenglass. Greenglass worked on the Manhattan Project at the Los Alamos National Laboratory in New Mexico. After the ring was uncovered, Greenglass was arrested on June 15, 1950. He named his wife as a co-conspirator, along with Julius. Greenglass originally denied his sister Ethel was involved, but later changed his story. Ethel Rosenberg was arrested on the courthouse steps. Soon after, the FBI raided the Rosenberg home and arrested Julius. Ethel was later arrested while leaving a federal courthouse in New York City after testifying she had no knowledge of espionage efforts. The FBI hoped her arrest would force Julius to name names of other Communist sympathizers. 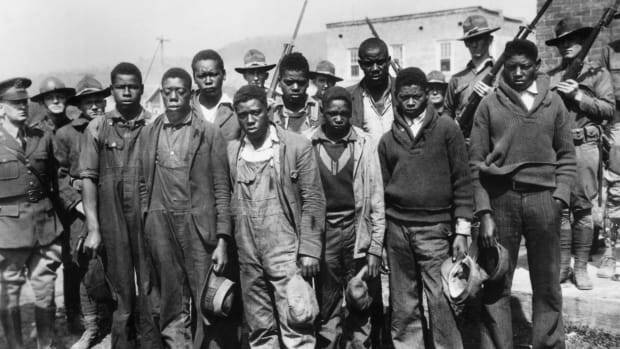 Greenglass later told New York Times journalist Sam Roberts that he had entered into a deal with the government, implicating his sister in exchange for his wife’s immunity. The Rosenbergs and Greenglass were all found guilty. Sentencing guidelines gave the judge two choices for Julius and Ethel: 30 years imprisonment or execution. FBI director J. Edgar Hoover suggested a 30-year sentence for Ethel, believing she would eventually name names in jail. But Judge Irving Kaufman chose death for both Rosenbergs. David Greenglass got a 15-year sentence, serving just over nine years. 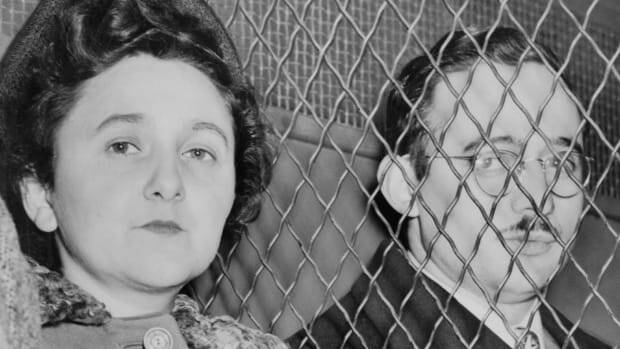 The Rosenbergs were executed by electric on June 19, 1953, at Sing Sing Prison in Ossining, New York. 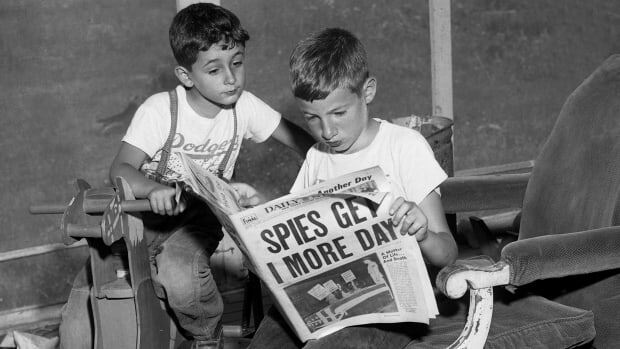 Julius and Ethel Rosenberg children, Michael, 10, and Robert, 6, reading the news about their parents in home of friends in Toms River, New Jersey. Cold War paranoia influenced the proceedings. One reason for the lasting controversy about the case is due to the perceived harshness of the sentencing. Dr. Arne Kislenko, professor of history at Ryerson University in Toronto, Canada, sees the convictions as coded to a time when the United States wanted to look strong on Soviet aggression around the world, particularly during the Korean War. “Needless to say, it was also a bit of pander to the increasingly vitriolic anti-communism of the period, mostly coming from Joseph McCarthy and his associates,” Kislenko says. There has been continued doubt specifically about Ethel’s role in the spy scheme. In 2016, the Rosenberg’s sons asked President Barack Obama to pardon their mother. Was justice served in the Rosenberg trial? Kislenko points out that conspirator Morton Sobell corroborated Ethel’s involvement in 2008. Also, subsequently released Soviet KGB documents portray Ethel as a prominent participant in her husband’s activities. “My view is that she was most certainly in-the-know about her husband’s activities and, again persuaded by KGB documentation, that she played a more active role than imagined by her defenders,” says Kislenko.